Are you social and energetic? Passionate about making a difference in the world? Creative in problem-solving and relationship-building? 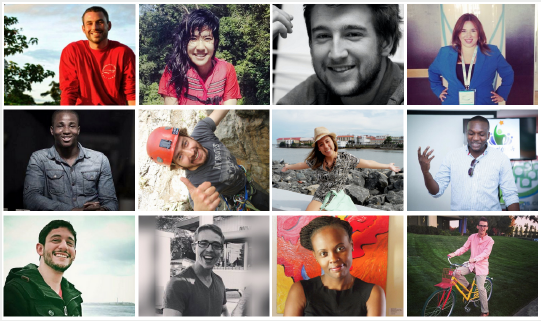 Enter our dream Community Manager - to lead the most dynamic group of 18-30 year olds from 50 countries. •Excellent verbal and communication skills - you have a way with words and a genuine voice. •Curious - You’re innovative, extremely creative and constantly looking for ways to improve. •Process-oriented - you have experience building and adopting internal processes, optimizing for efficiency and simplicity. •Team player both on and off the court - you enjoy building relationships and talking to interesting, intelligent people. •Believe in our vision and culture deeply - A passion for learning and excitement for disrupting business as we’re used to today. •Global Mindset - strong desire to learn and understand other cultures. In two business days at a very low cost, we will provide you with insights from Millennials worldwide for ideation, creative testing, research, preferences, and more. You make coffee from a Nespresso, hop an Uber to a presentation at a co-working space. On route, you log onto Google Hangouts for your first meeting of the day. When it’s over you order your groceries on Instacart, listen to music on Spotify to get psyched for the concert tonight that your mate just bought tickets for on Stubhub. While you pay them back on Venmo, you post your latest pose on Instagram. Inspired by your friend’s photos, you Snapchat your partner that you just booked a weekend getaway on HotelTonight and ask them to book a GetAround car for the trip…oh, and don’t forget to make a reservation on OpenTable for Sat night. And this is only the tip of the iceberg. We have adopted many of these practices into our daily lives, yet we still think our workplace is so sacred that it is business as usual. At Intl Connector, we ask, what is the next disruption? On Sunday, the NY Times article highlighted the differences between Millennials and Generation Z pointing towards digital as being the primary source of the differences. As we have seen through our work, the youth today are not slowing down. The differences in their perspective, needs, wants are further skewed from Boomers, from Gen Xers. They are globally connected, they are socially conscious in a new way. 1. As soon as a survey is finished, it is stale and out of date - Research will always have its place, but it can no longer stand alone. Youth are changing the rules too fast and you need to find new ways to stay on top of their preferences. This doesn't mean that you should react to each new trend. This means you need to talk to them along the way. 2. If you are too comfortable using your box of tools, you are clearly behind - Every time I rely on the same outreach tools, I find that I'm no longer reaching youth. As the preferences and references change, so must the marketing. 3. Effective ideas are not formulated in isolation in an office - Creatives and strategist have always relied on research and opinions to create their ideas. Youth today are globally connected and influenced by ideas worldwide. In order to create an effective campaign, product, or idea in these moving times, you need to draw from all the same influences. So why do I search the world for incredible talent, disrupters and critical thinkers? I need these Millennials, these GenZs in the conversation with me every day to ideate, to co-design, to solve that pressing challenge. Most importantly, I need their perspective – it’s collectively unique and it’s never what I guess it will be. With the global team of Catalysts, I’m ready for the shifts, the fluidity of business today and the ever-changing landscape.